Indigo is the colour of the early evening sky, dark blue tinted by the setting sun. 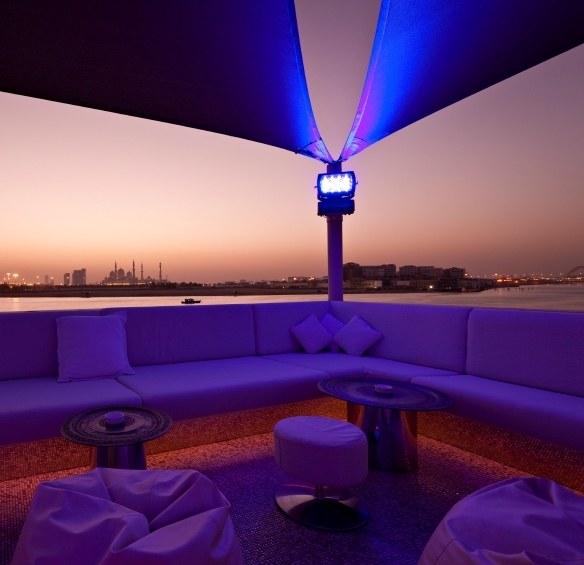 It is also a colour best used for night-time decors, dining rooms, bedrooms and indeed anywhere that needs a stunningly exotic look such as this night club in Abu Dhabi where twinned with Dubai, the quality buildings, homes and hotels are the epitome of luxury. Indigo is one of the colours of the rainbow lying between blue and violet. The dye was originally made from the Indigo plant in India, hence the name and has historically been used for royalty and religion. 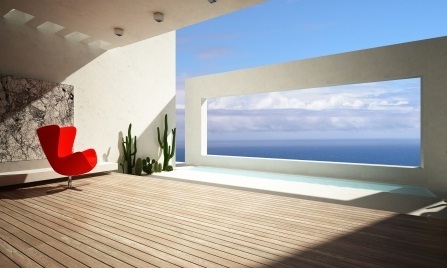 Today it is used as a great statement colour, looking particularly outstanding with white, silver or grey for a modern decor. 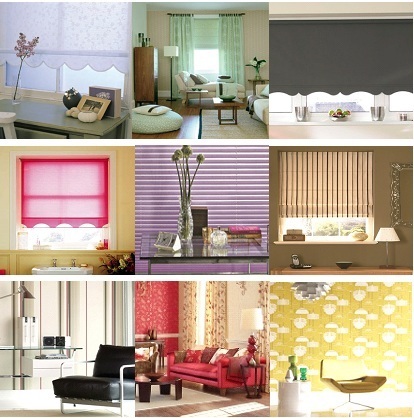 For brilliance and impact in a more traditional style, twin Indigo with orange, lime green, pink or gold. Used in a bedroom in small amounts Indigo will add romance and mood, but keep the colour to touches in the curtains, cushions, bed throws and accessories. A sumptuous curtain pole such as the Museum wooden pole will be needed to dress curtains in a lavish scheme in a traditional setting. and for a modern curtain pole that can live up to the extravagance of Indigo, then the Integra Torino Metal curtain pole can meet the challenge. If you are brave enough for Indigo walls, then keep it to one statement wall well away from the window as the paintwork of the window and window treatment will never be able to match the colour perfectly and then the finished effect will look messy. There are many roller blinds or roman blinds in neutral colours that will match a neutral wallcovering perfectly, allowing for a smooth transition of the two colours. 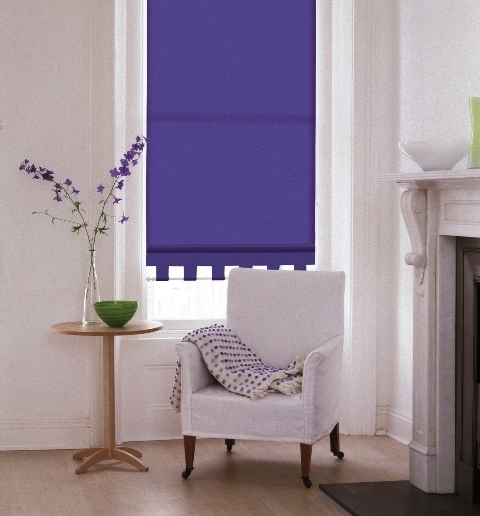 Alternatively an Indigo blind on white or grey wall will always look outstanding. 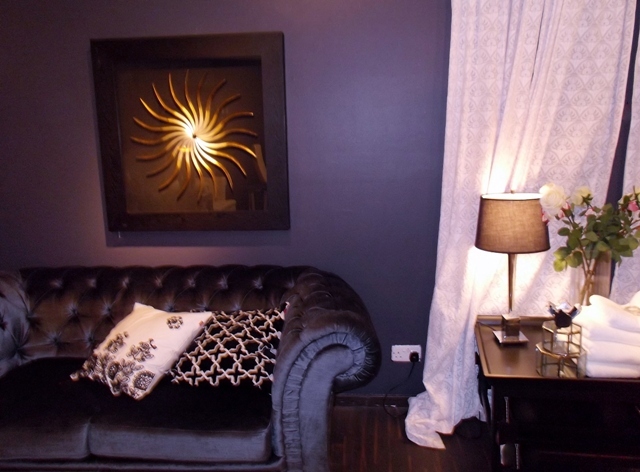 My first encounter and ensuing decorative disaster was with Indigo coloured velvet curtains and lilac walls. I was only 13 and my parents had said I could choose my new bedroom colours. I wanted to make an impact and loved the velvety depth of colour but lacked the experience to know what to do with it. I realised my mistake after the first few strokes of the paint brush, but dare not tell my father to stop and that I hated it. I still love the colour, but use it in a very limited way. 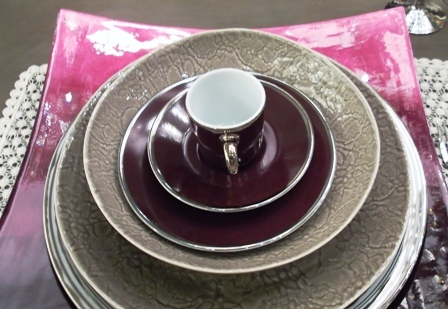 Look how the Indigo lifts the taupe plates to a whole new level of decadence. Accessorise with Indigo – It will Enliven Everything.